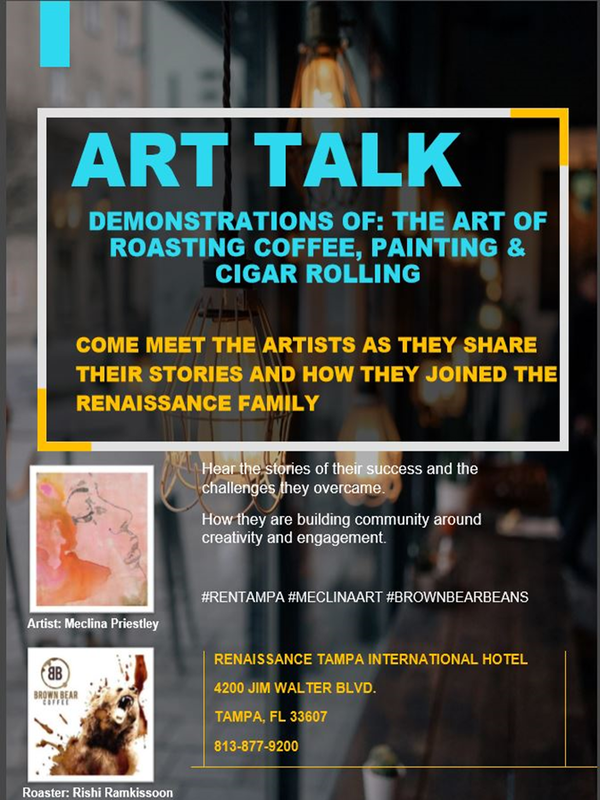 Demonstrations of: The art of roasting coffee, painting and cigar rolling. Come meet the artists as they share their stories and how they joined the Renaissance family. Hear the stories of their successes and the challenges they overcame.